Where possible our product descriptions will contain fitting information, including size charts for clothing, and conversion charts for shoes. These charts are to be used as a guide only and do not take the place of a personal fitting. If possible personal fittings are recommended. Dance & Play are happy to exchange products of incorrect size, please check our information pages Delivery & Returns for the terms and conditions that apply. Please read the information provided in the product description of each product as fittings may vary according to brand. 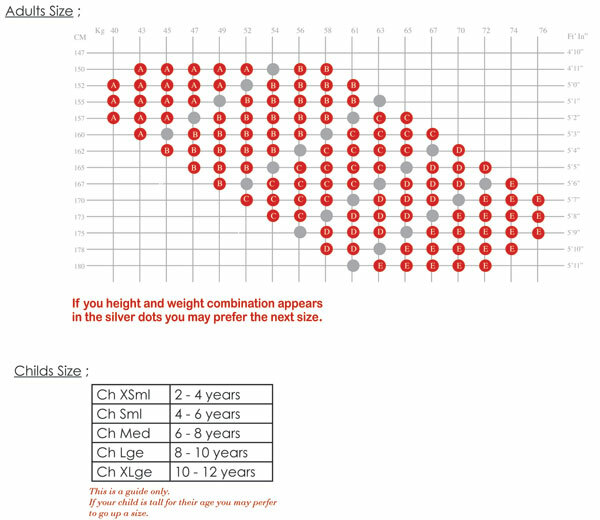 Many shoes have custom size guides shown in the product description. Dance & Play offer this information as a guide only and are not responsible for incorrectly chosen sizes, personal fittings are always recommended. We recommend using your current leotard size to help choose sizing for Costumes and Tutus. If you require help to choose size please phone 1300 729984 (local call charge in Australia) or email info@danceandplay.com.au and our friendly staff will help you. Dance & Play take no responsibility for incorrect size based on information provided by customers and recommend a have a personal fitting for optimum results.